I’ve been through the whole spectrum of pet food quality with Chester. When I was a new dog Mom, I just fed him whatever kibble and I can guarantee it was cheap and not very healthy. 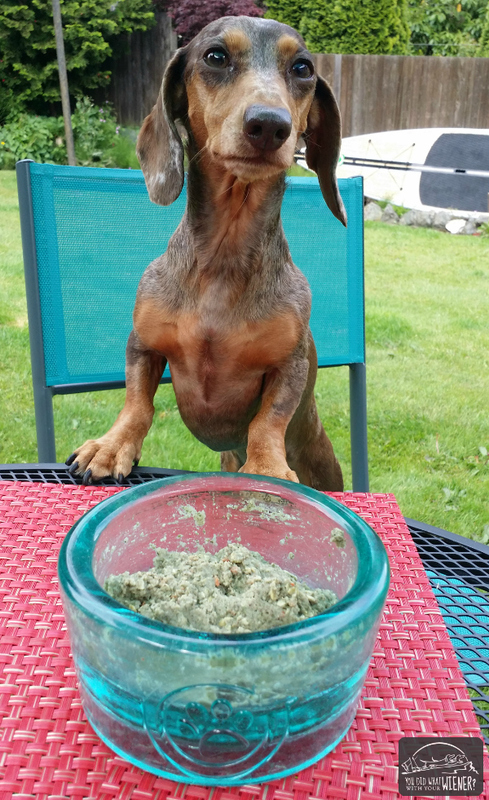 As I learned more about pet nutrition, I slowly improved the quality of what I fed Chster. Higher quality foods were coming on the market at the same time so I had more choices too. They were expensive at first but now some of those foods don’t cost much more than that crap food I was feeding him. Eventually we transitioned to from regular kibble to pre-packaged raw food but I am not a stickler about it. I just try to give them top-of-the-line foods and what that is depends on our situation. For the times when raw not convenient because of travel, or I forget to thaw out the dogs food the night before, my #1 choice is The Honest Kitchen. The Honest Kitchen wants to make their high-quality foods accessible to everyone so they developed a new food, Revel, that is a nutritional step up (well, quite a few steps in some cases) from kibble but a little more affordable than the rest of their line. Revel contains the highest quality ingredients, including single-sourced, all-natural free-range chicken, organic grains, and gently dehydrated fruits and vegetables. It isn’t processed like kibble, so it retains more nutrients, and doesn’t contain preservatives or chemicals. It’s suitable for dogs of all life stages, including puppies, pregnant and nursing, as well as active adult dogs. Revel, like the rest of the Honest Kitchen line, comes in a powder that you reconstitute with water. Because the particles are finer than most dehydrated foods, it reconstitutes almost instantaneously (no waiting 15 minutes or longer!). Being able to make the food as you need keeps it fresher than those you have to add water and let it sit out for a while. The food comes with instructions of how much water to add but I just put *some” water in until it is a very moist paste. A bonus of this food being a paste is that I can smoosh it up on the sides of the bowl so scarfer Gretel has to slow down when eating. Chester and Gretel like all of Honest Kitchen foods, and this is no exception. You can find out more about The Honest Kitchen, and stay up-to-date with product news, by following them on Facebook. Have you ever tried The Honest Kitchen food? What did you think? Disclosure: This post is sponsored by The Honest Kitchen. I received compensation in exchange for writing an honest review. However, You Did What With Your Wiener? only writes about products that we would use and everything we say is really how we feel. The Honest Kitchen is not responsible for the content of this article. Great review! The girls love THK! I picked up some of this to use on a hiking trip. I also used it for Rama’s puppies as they began to eat regular food. They liked it a lot and it was definitely a good value. We are fans of THK here. My dogs are enjoying Zeal most mornings for breakfast right now. I’ll have to look for this next time I’m out.